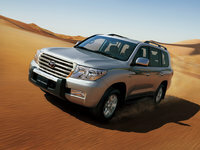 The 2020 Toyota Land Cruiser has been announced, but it is not yet available for purchase. 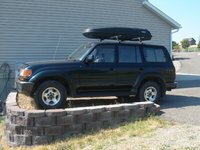 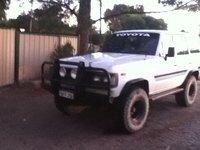 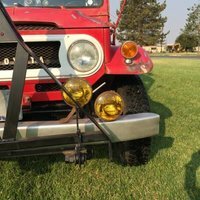 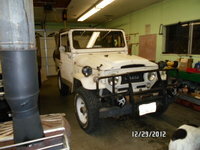 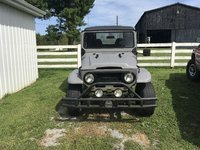 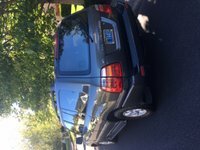 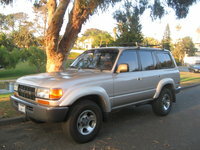 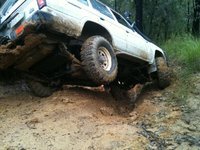 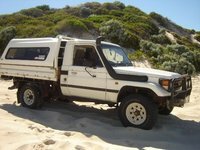 Start a new Toyota Land Cruiser question. 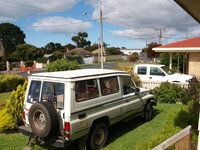 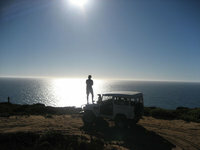 How much does it cost to transfer and registrate a second hand vechile to your name. 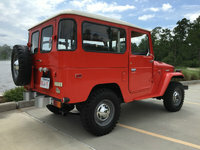 The Toyota Land Cruiser has a long and venerable history. 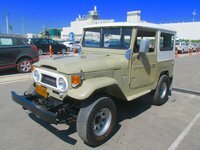 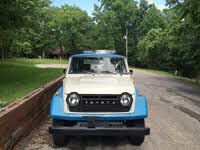 Orginally designed for military use, they arrived in the U.S. for civilian consumption in 1960, making the Land Cruiser one of Toyota's oldest nameplates in this country. 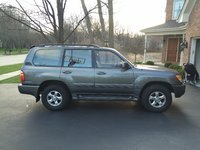 Originally a tough, no-nonsense truck, the Land Cruiser has grown to be a cushy luxury SUV. 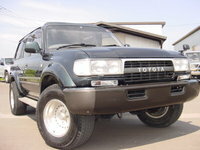 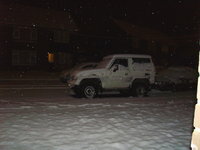 However, it is still Toyota's best vehicle for off-road use. 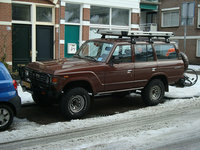 The first generation of Land Cruisers were sold for nearly 20 years. 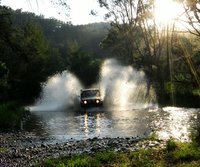 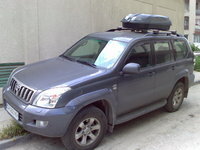 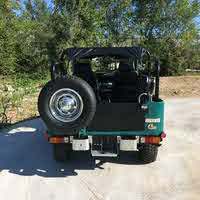 Rugged and utilitarian, they were geared towards off-roading enthusiasts, who enjoyed pushing their TLCs to the limit. 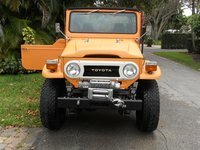 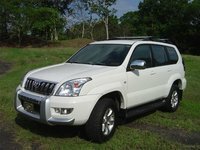 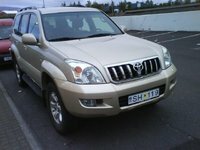 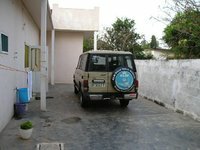 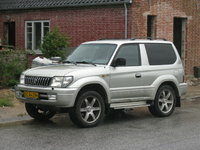 By 1980, Toyota recognized the emerging SUV market, and the Land Cruiser began to evolve into the plush SUV that it is today. 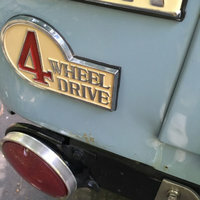 Thus, the next generation of TLCs included creature comforts like air conditioning and disc brakes. 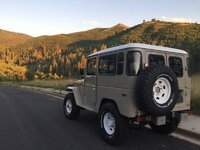 At the next redesign, in 1990, the Land Cruiser was designed to appeal to the mass market, and emerged as a high-end, luxury SUV--much to the dismay of die-hard off-roaders, who thought the Land Cruiser was losing some of its original intent. 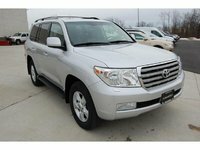 Today, the Land Cruiser is one of Toyota's most expensive vehicles, and includes all the amenities one would expect in a luxury car while still remaining a capable off-road vehicle.